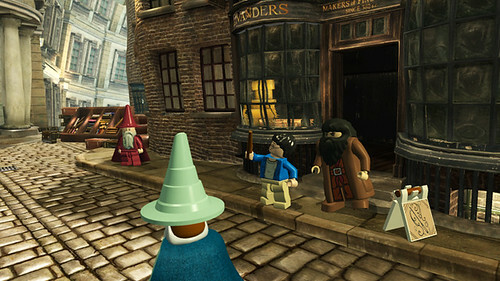 The Playstation UK Blog posted an interview with Jonathan Smith of Traveller’s Tales, the company behind the upcoming LEGO Harry Potter: Years 1-4 video game. Smith is the Head of Production for Traveller’s Tales, and is calling the LEGO Harry Potter game “a new kind of LEGO gameplay” with characters learning/advancing over a long period of time (4 years in-game). 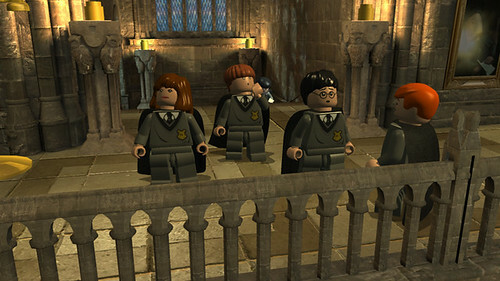 So what’s radically and completely new in Lego Harry Potter from what we’ve done before is the effect that having Hogwarts as a massive explorable environment has on the game progression and the game structure. When you first start as a new student in Hogwarts, finding your way to your first lesson you’ll be pretty well directed by the teaches and the design of the environment to find your way, but as you play and progress further through the story, with each new spell you’ll gain access to new areas and trigger new story events that move on through the plot. So you’ll find more and more of Hogwarts accessible to you as a player, switching between different characters, until it becomes a really huge, immersive, explorable, open environment — to which you’ll return between story events to discover more secrets and learn more things. If you want more information, you can visit the official website KidsWB.com (Warner Brothers). 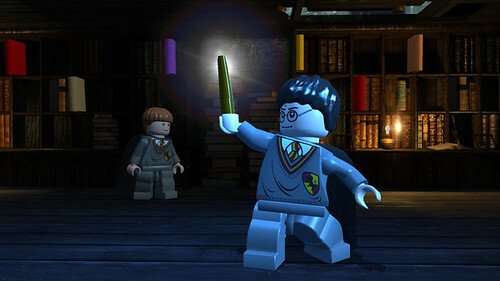 Back in February, it was announced that there would be additional LEGO Harry Potter sets later this year, to coincide with part 1 of Harry Potter and the Deathly Hallows.